Ringworm in dogs are caused by a fungal infection that affects the hairs of the dog. 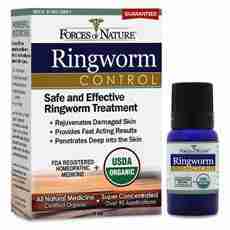 Just like any other fungus, ringworm will attack the dog and cause infection on the outer part of the hair and nails. Ringworm in dogs are caused by a fungus and not a worm as many people think. This fungal infection can be spread from one dog to another, so it is important to separate infected dogs from the healthy ones. The first manifestation of ringworm in dogs is hair weakness and finally hair loss. The areas of the dog with hair loss appear as circular lesions on the skin. The patches are likely to be spread on the body of the dog. A distinctive feature on the circular lesions on the skin is the hair start growing from the middle towards the end. Some dogs are carriers of the fungal infection, and it becomes difficult to see the physical signs of ringworm. When your dog has a ringworm fungal infection, you will notice that the hair of your dog starts losing it bright look. If you notice that your dog hair no longer has its proper neat look despite proper cleaning and shampooing, then the cause might be ringworm. At a closer look at your dog, you might notice dandruff and scales on the hairs of your dog. This is a common symptom because the fungus infection attacks the hair follicles and the hairs start chipping. The manifestation of the fungal infestation is dandruff and scales on the hair. Hair loss is the advanced stage of ringworm in dogs. In areas of the skin where the hair loss occurs, you will see circular lesions that are red in color. Depending on the severity of the fungal infection the hair loss may be mild or severe. You might observe itching and darkening of the skin. It might not appear on all dogs, but this is also a common occurrence in many dogs with ringworm. This is one of the most common methods of treating the physical symptoms of ringworm. Depending on the brand, you veterinary doctor will recommend methods of going about the process of cleaning your dog. In this treatment procedure, the first step is to clean the dog with medicated shampoo and later apply the cream or ointment. This is the surest way to treat ringworm because the treatment addresses the problem from the inside which is the cause of the problem. Oral anti-fungal treatments are mostly used in combination with creams and ointments.